This is the programming card for the YEP ESCs. 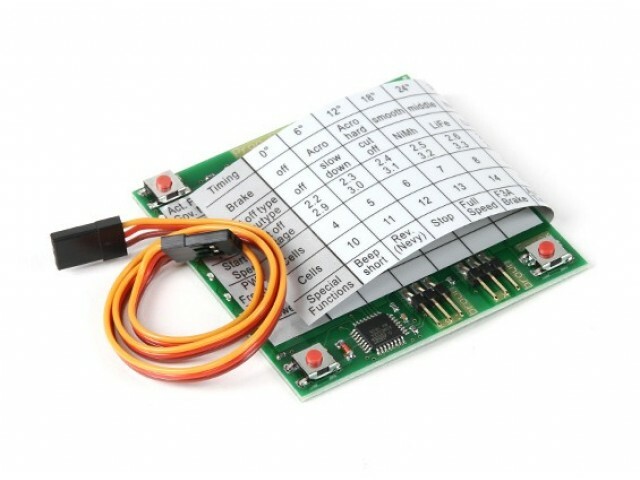 This card will allow you to conveniently program your ESC settings at home or at the field. Its compact size allows it to be stored in your field box or pocket with ease.